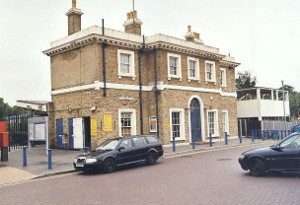 Erith is within the London Borough of Bexley close to Dartford and Bexleyheath, with a commuter train station which is will connected for London and Kent. Since 1961 there have been numerous modernisations within the town which is now mainly suburban homes and has benefited from the Erith Western Thames Gateway Project. There has been a significant development alongside the river since 2000 and this regeneration of Erith will continue within the town. Lanes School of Driving was established in 1914. Since then, Lanes has been teaching generations of locals to drive. Today Lanes has a wealth of experience and a superb reputation for quality instruction. At Lanes, we treat each pupil as an individual. Our courses are carefully designed to meet each pupil’s unique requirements. Pupils who want to progress faster are offered one of our intensive driving courses. Theory lessons can be taken alongside practical instruction, or can be studied as a separate course. Pupils who have passed their driving test are given the chance to further their skills with after pass courses. These include: Parking Skills, Advanced Driving, Pass Plus and Motorway Driving. Lanes is aware that pupils often lead busy lives. At Lanes, pupils are given the freedom to book lessons to suit their schedule. Pupils can choose from regular weekly lessons or occasional single lessons. Lanes believes that one to one instruction is the best way to learn. Pupils are not expected to share their instructor with another pupil. Lanes is proud to have a selection of fine and well equipped cars available for its students. Pupils can be collected before their lessons and returned home afterwards. Lanes have been providing driving lessons in Erith, DA18 for many years. Please call us today on 020 8166 5678 or click here to send us an email via the contact page. Lanes have over 40 experienced driving instructors. Pupils are free to select the instructor best suited to their style and preference. Our instructors have successfully taught a range of ages; from 17 to 70. They are excellent at reassuring nervous pupils. Lanes’ instructors are all qualified Approved Driving Instructors who are registered with the DSA. Each pupil will retain their chosen instructor for all their lessons so that their learning can be as efficient as possible. Lanes have a team of driving instructors in Erith, DA18. Please call us today on 020 8166 5678 or click here to send us an email via the contact page. Lanes understands that pupils can be very anxious when starting driving lessons. Female pupils often express concern about being matched with a male driving instructor. Lanes therefore allows female pupils to ask for a female instructor to teach them. Our female driving instructors are very likeable and easygoing. Pupils will be made to feel relaxed and unpressured. Lanes have a selection of female driving instructors in Erith, DA18. Please call us today on 020 8166 5678 or click here to send us an email via the contact page. Some pupils request lessons in an automatic car. Experienced drivers may prefer to drive manual because of the greater control. However beginners can find manual driving too complicated when they start driving for the first time. Automatic cars allow beginners to focus on steering the car without worrying about changing gears. It is usual for pupils to learn faster in automatic cars. Lanes have a selection of automatic driving instructors in Erith, DA18. Please call us today on 020 8166 5678 or click hereto send us an email via the contact page.